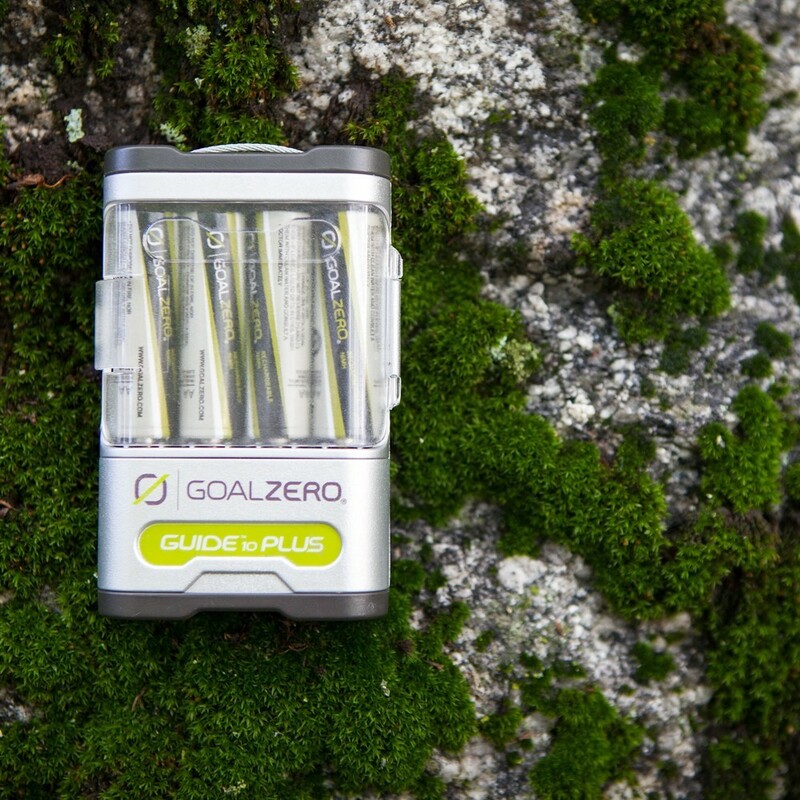 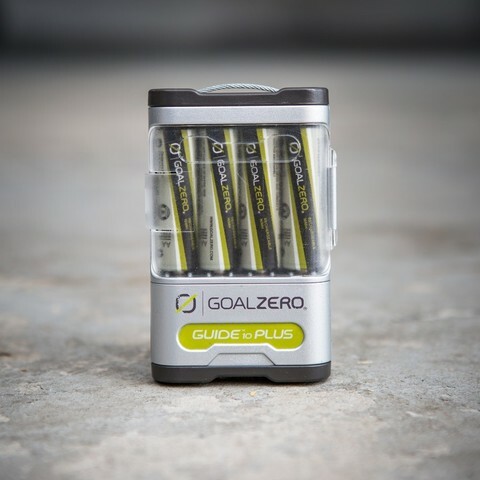 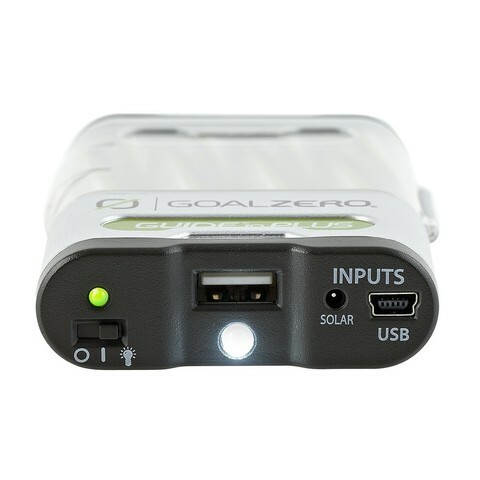 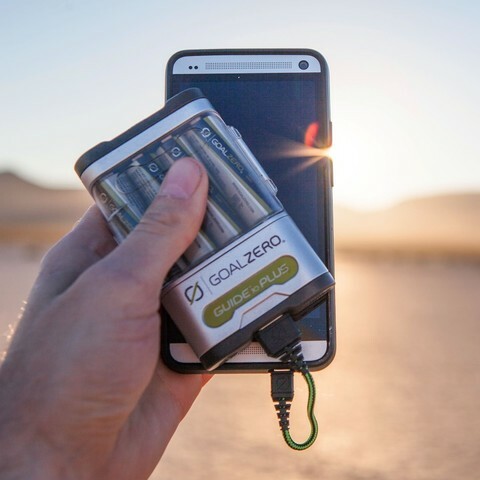 Goal Zero Guide 10 Plus Power Bank allows you to charge AAs from the sun or any USB port, then power your phone, wearable, GPS, or perk up your tablet in a pinch. 2,300mAh Battery Pack: Portable, rechargeable battery pack for power hungry gear. 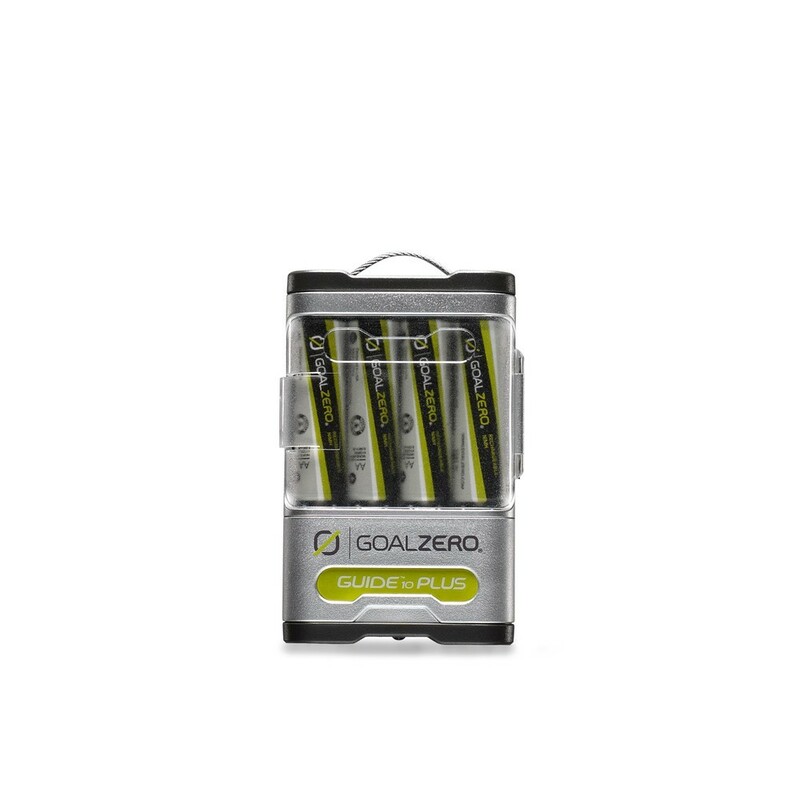 Includes a USB output for charging phones and boosting tablets. 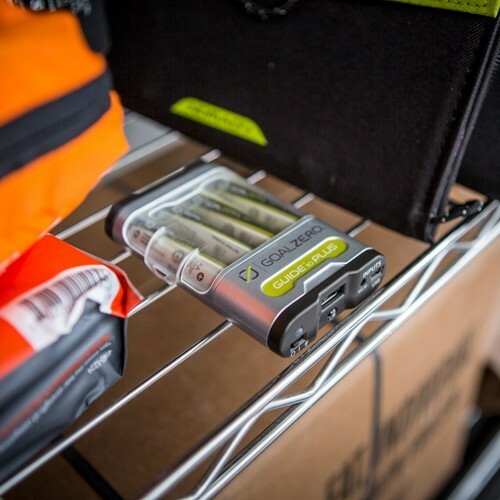 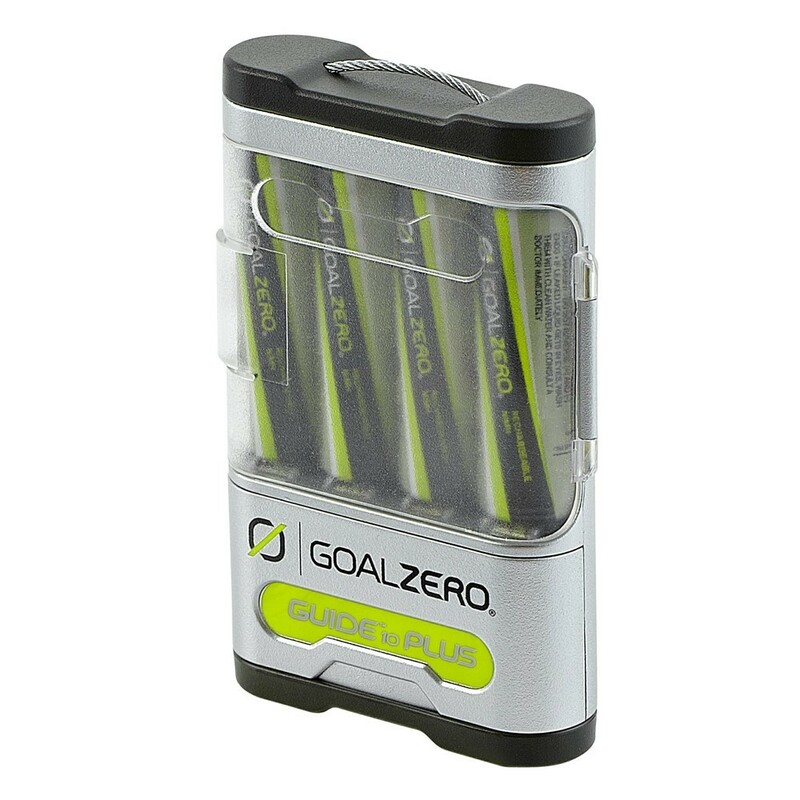 Removable, Rechargeable Batteries: Use AAs for headlamps, flashlight, and remotes. Also works with other rechargeable NiMH batteries and includes AAA adapter. 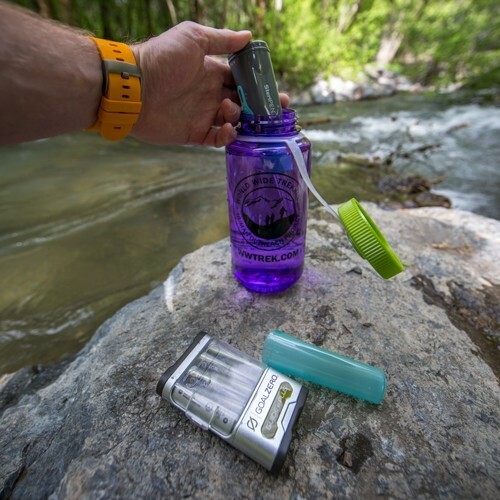 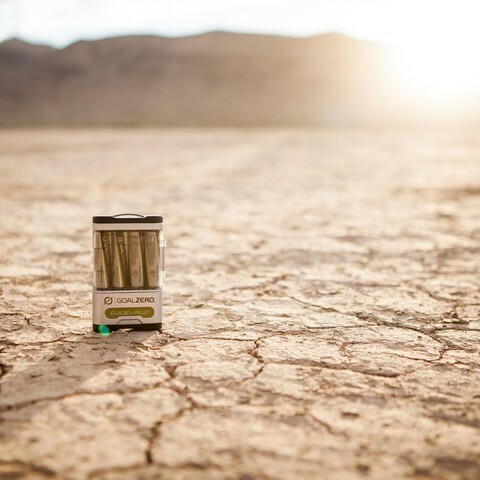 Light It Up: Includes a built-in flashlight, handy for digging in any purse or backpack, and lighting up a hallway in a pinch.